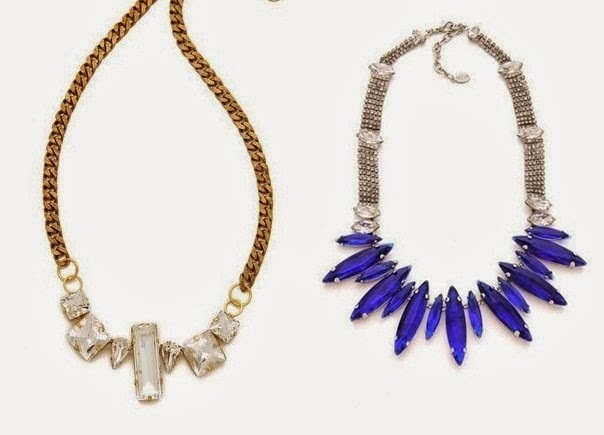 Fight off winter darkness with sparkly rhinestone jewelry. Here are 20 designs from high to low to inspire your DIY enthusiasm. Above is the work of designer Loren Hope. Also at the top of the list for beauty and price are Shourouk and Dannijo. 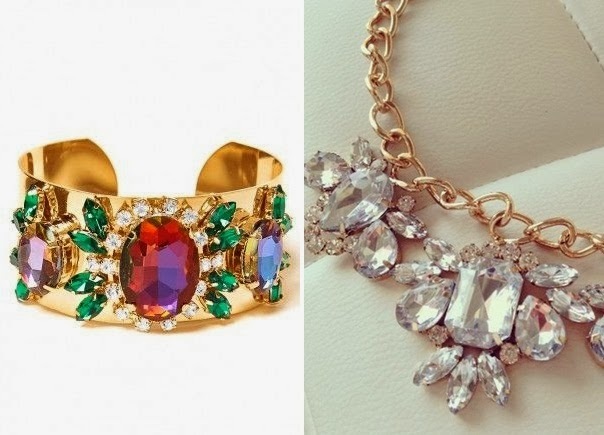 Anthropologie's Cimarron Glitz bracelet by Dannijo. 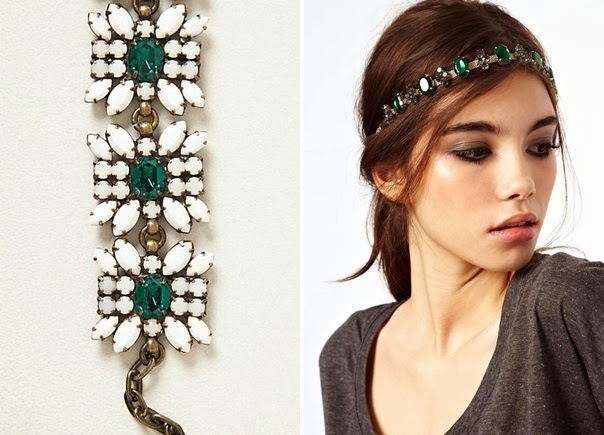 ASOS Jewel Cross headband. 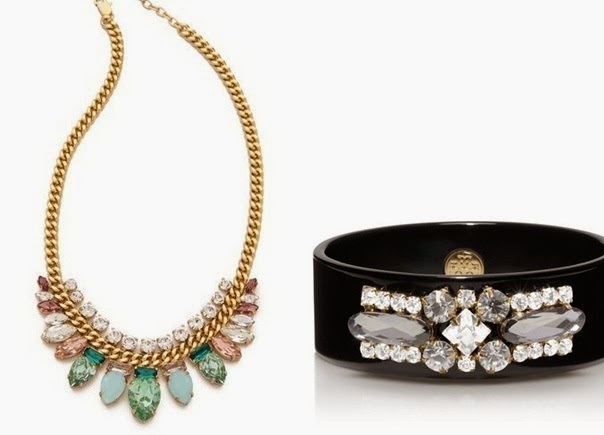 Baublebar Mystic Topaz Gem Cuff. Left necklace, unknown. 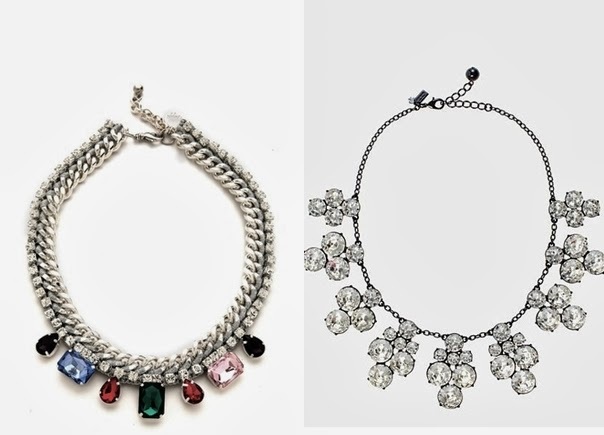 Nasty Gal's Crystal Braid necklace. 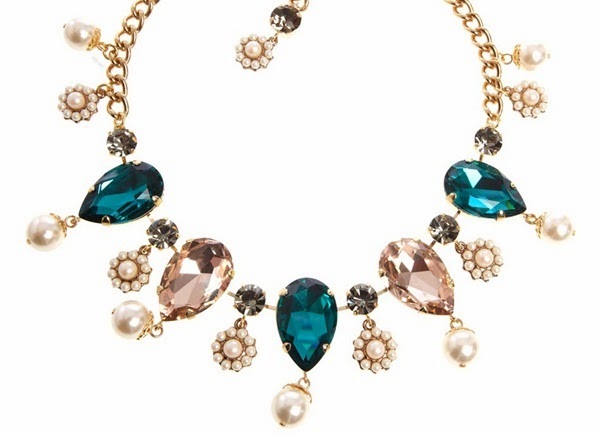 J.Crew's Pear necklace. 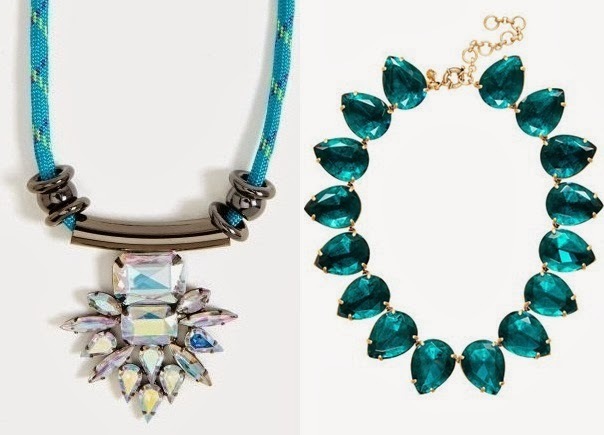 Fallon Crystal Choker necklace. Noir Jewelry Gem necklace. Adia Kibur Teardrop Necklace. 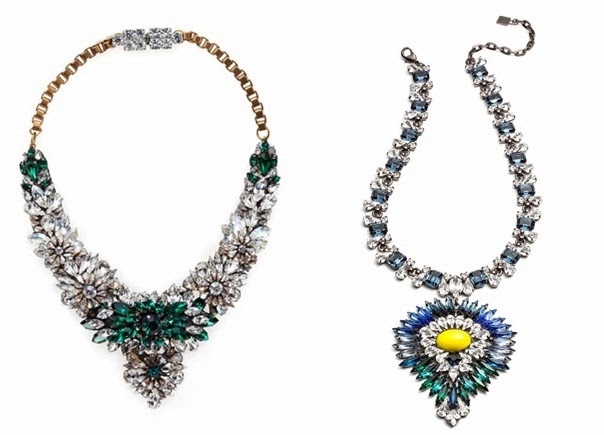 Tasha Statement Necklace. Juicy Couture Teardrop Chain Link necklace. Tory Burch's Manon Embellished Crest Cuff. Venessa Arizaga Amazing Grace necklace. 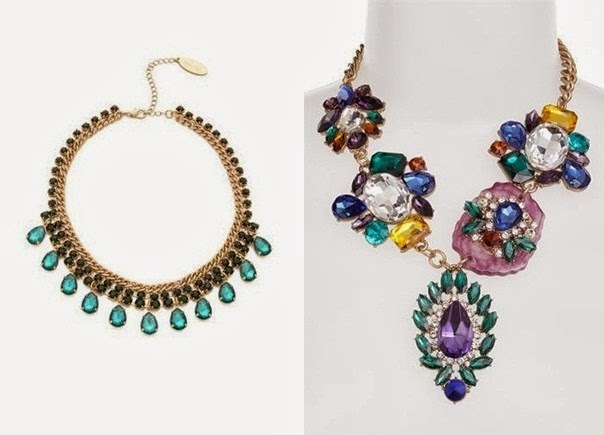 Kate Spade Steal the Spotlight Statement Necklace. J. Crew Jeweled Chandelier Sweatshirt. 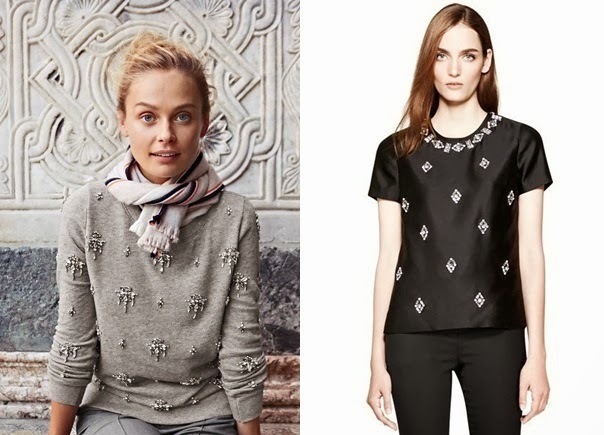 Tory Burch Vesper Top. 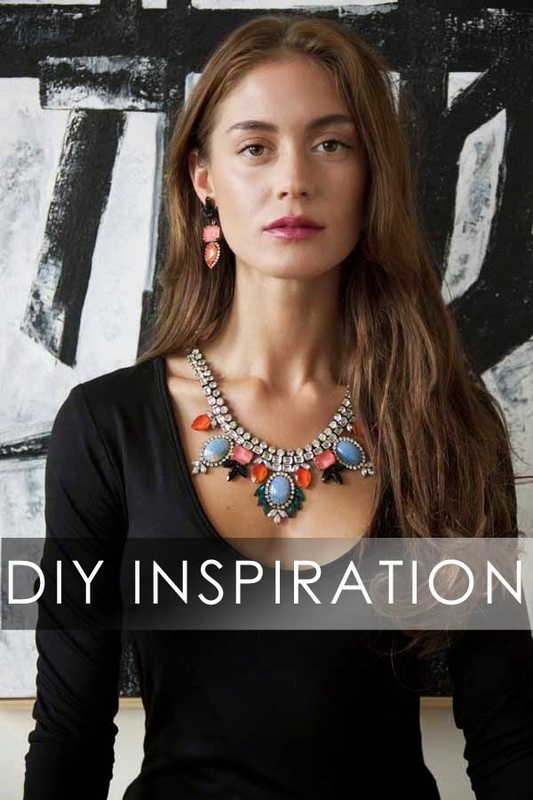 Are you feeling a DIY rhinestone project coming on?